During the entire planning process, the architects were plagued by the feeling that it “is such a shame to have this wonderful landscape marred by a new building”. 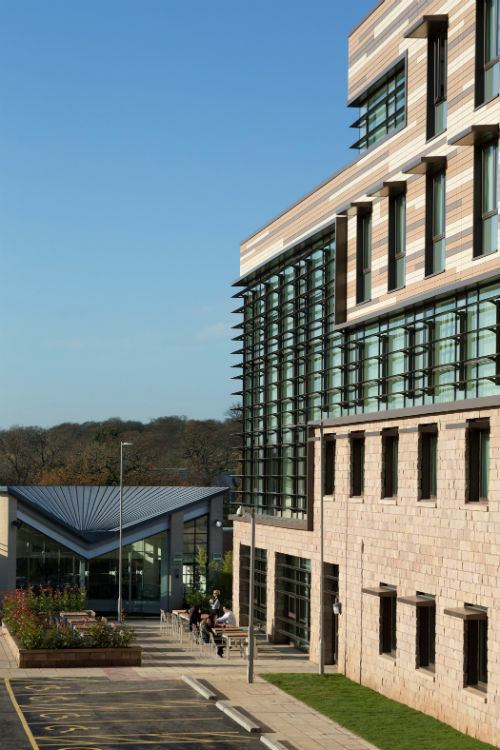 So they realised a hotel which is equally distinctive and respectfully integrated in the parkland campus of the University of Nottingham with a particular role being played by the use of renewable energy and natural building materials such as façade ceramics supplied by AGROB BUCHTAL. 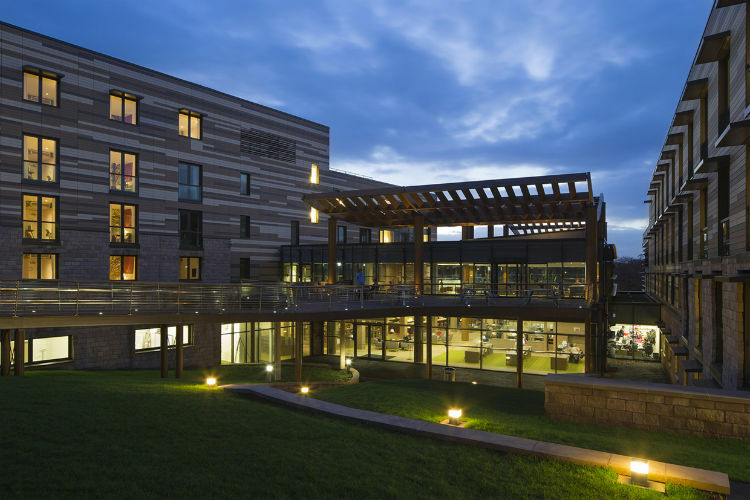 The Orchard Hotel is west of the city centre of Nottingham, between the East Midlands Conference Centre and the University Park Campus, nestled in an expansive park with gently rolling hills, old trees and abundant orchards. After winning the tender contest, one essential idea during the draft concept at RHWL Architects in London was to integrate the 200-bed hotel as seamlessly as possible in the landscape. The planners therefore divided the construction volume into three building layers grouped loosely side by side, making it possible for the green areas inclined towards the east to flow as it were through the hotel. The impression of openness and closeness to nature is achieved in particular by the central atrium: expansive glass façades as well as a glass roof spanned by a wave-like wooden construction. 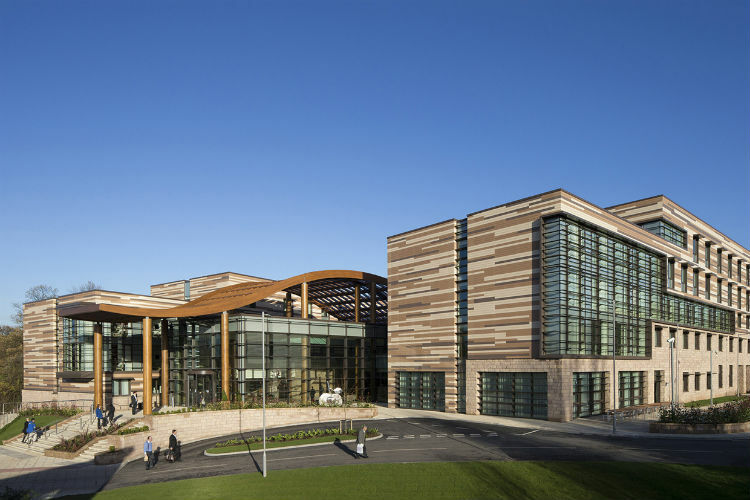 The expressive gesture of this supporting structure made of larch marks the main entrance and simultaneously symbolises that the lobby and bar, restaurant and library are also open for passers-by coming from the adjacent conference centre to the University of Nottingham campus. Unlike the glazed lobby, the two room tracts on either side appear to be more solid structures conveying a feeling of safety to guests. This effect is underlined by a natural stone base made of regional silicified sandstone which firmly “anchors” the building in the ground. 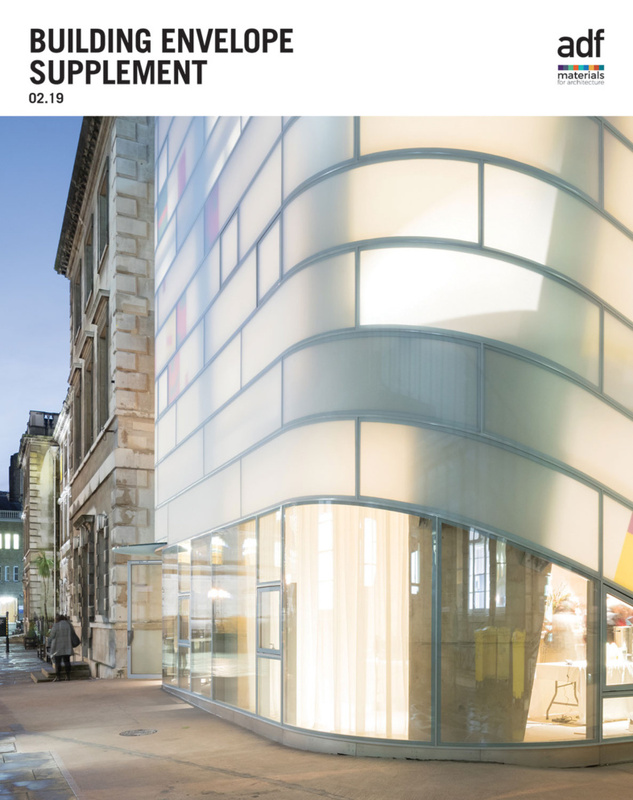 But the ceramic façade panelling covering a total area of 2,500 m² is equally distinctive in this context: it comprises more than 180 different product variants each 15 cm high and ranging between 19 and 90 cm in length. The panels were carefully packed and exactly marked by AGROB BUCHTAL in the plant in order to effectively support installation in exactly the right defined places. Originally, the architects intended to use wooden panelling which was not however realised on account of its high maintenance costs. The architects by no means chose the ceramic façade comprising horizontal strips arranged irregularly in three shades of brown specifically developed for the project in order to imitate a wooden structure but rather as a tribute to the geological layers of the environment characterised by sandstone rock. 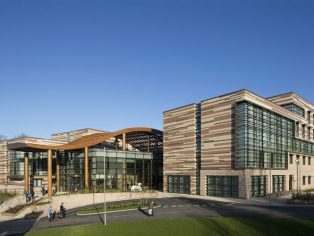 The monolithic appearance of the building ensemble is cleverly underlined by the ceramic façade: on the one hand by the exactly mitred corners of the buildings with low gap dimensions and on the other hand, thanks to the innovative KeraTwin K20 securing system enabling installation using concealed clips. 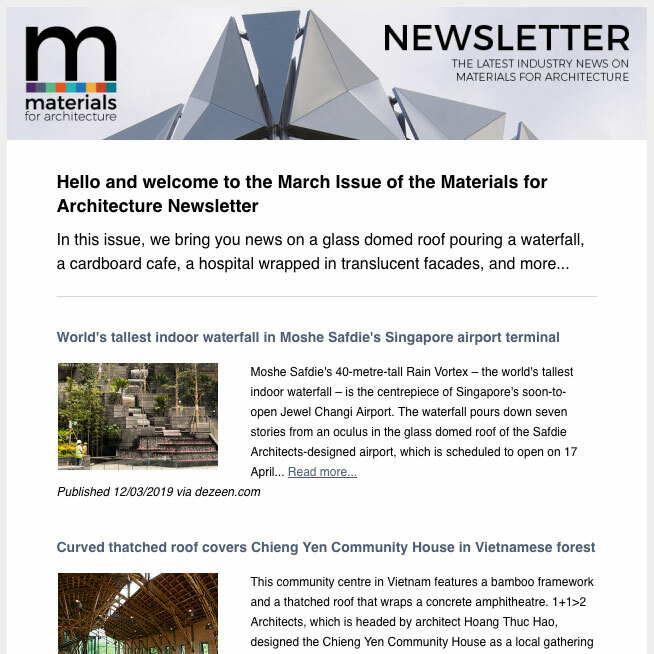 At the same time, the building shell exudes a significantly tangible yet unpretentious down-to-earthiness. Combined with an innovative energy concept (e.g. 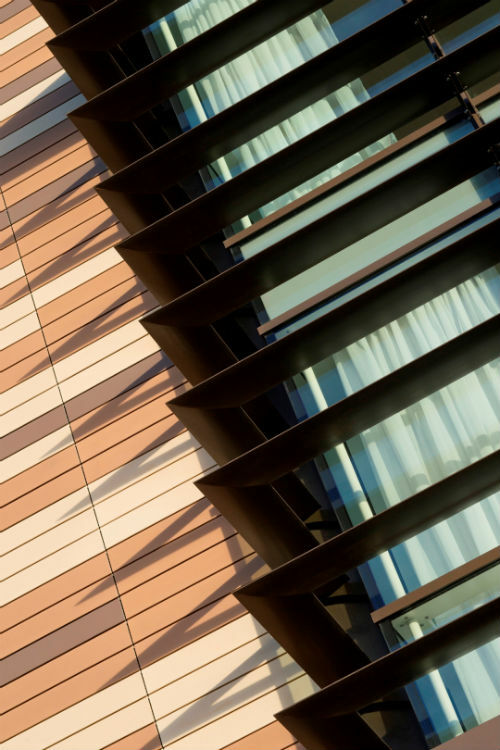 with photovoltaic, geothermal heat pumps and co-generation), the ceramic panels manufactured from natural raw materials ultimately contributed towards the Orchard Hotel being awarded a BREEAM building certificate with grade “excellent”. The Orchard Hotel offers interesting perspectives and inspiration: the filigree and inviting lobby is flanked by two bedroom tracts conveying protection, safety and a confident presence. A harmonious colour scheme and natural building materials such as ceramic or wood are equally testament of the respectful approach to nature as the buildings' differentiated contours which are adapted to the landscape and allow the gently inclined green areas to literally flow around and through the hotel. 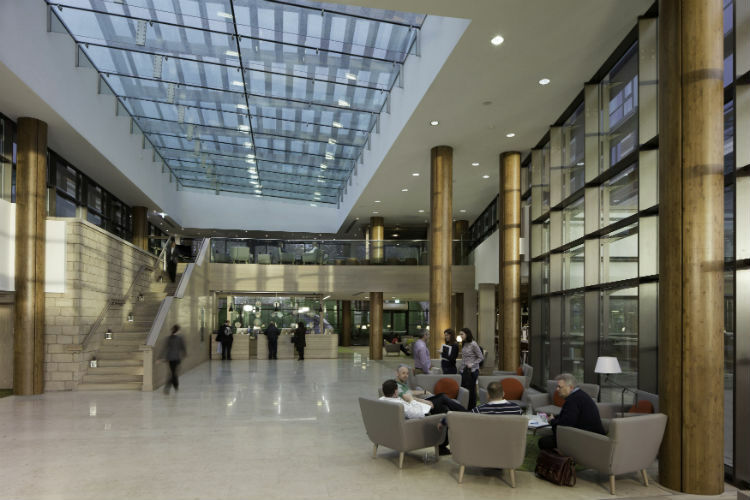 The central lobby is impressive thanks to its spaciousness, elegance, transparency and lightness. Highlights are set by constructive elements such as columns, poles, beams or stairs. The interaction by ceramic, glass, metal and regional silicified sandstone (Motif 4, lower section of the buildings) attributes the buildings structure, life and proportion, giving rise to exciting contrasts without any overwhelming obtrusiveness. The Orchard Hotel offers interesting perspectives and inspiration: the filigree and inviting lobby is flanked by two bedroom tracts conveying protection, safety and a confident presence. A harmonious colour scheme and natural building materials such as ceramic or wood are equally testament of the respectful approach to nature as the buildings’ differentiated contours which are adapted to the landscape and allow the gently inclined green areas to literally flow around and through the hotel. This image reduced to the essential by planners RHWL Architects, London illustrates the correlation between the conference centre (bottom left), hotel and landscape.